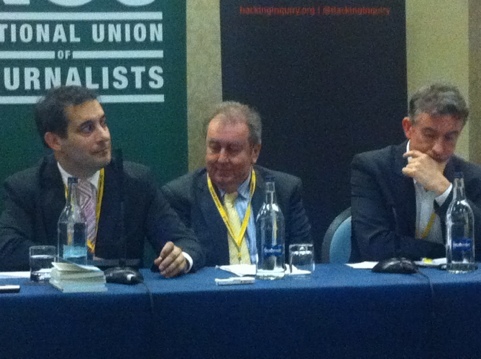 Hacks, MPs and LibDem delegates assembled in a packed Grand Hotel conference room last night for the Hacked Off debate on press reform. Hugh Grant was bundled away from his meeting with Clegg by his many minders before proceedings began, leaving Steve Coogan as the sole star attraction. Somewhat predictably, the evening quickly descended into an all-out assault on press freedom. 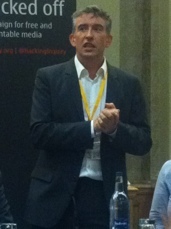 Panelists and delegates focused their ire on the likes of Page 3, Boris and Kelvin Mackenzie, so it seemed as if Coogan was playing to the gallery somewhat when he exhorted: “I float between Labour and LibDem. But never Tory. I’d rather pull out my own eyeballs than vote Tory. Alan Partridge backs David Cameron”. The journalists present looked on with horror as NUJ boss Michelle Stanistreet condemned editors and Hacked Off professor Steve Barnett laughably admitted that “I have this vision of Kelvin behind bars”. The mood was summed up when a technical issue saw the lights briefly go down, only for delegates to shout “Murdoch!”. They promised a debate, but there was none to be found.